The fabric was delivered within 24hrs of ordering it and exactly when I was emailed to say it would be, the driver was very helpful and polite. The rolls of fabric were packaged very securely and we're easy to handle. The Lycra fabric is a great quality with a good range of colours at an affordable price. An easy to use website, great fabric with a quick delivery service. Thank you Fabricland. Pleased with the material .Allthough I thought the cerise colour was red. As always - excellent products and superb service. Excellent quality felt with a great range of colours, ordered the gingerbread to make reindeer and gingerbread men for a craft fair. Ordered on line and delivered to the shop, very quick delivery. As always the staff at my local branch, Kingston were very helpful and efficient. Absolutely delighted with my faux fur product. Much nicer than the photographs show it. I was also very pleased with the speedy delivery. It came within 24 hours. wonderful. Brilliant quality zips. So difficult to get 14" zips and the colour range is perfect. Excellent price and quick delivery too. I will definitely be ordering more in bulk. I always buy my felt and craft fabrics from Fabricland. All their fabrics are excellent value for money, there is always such a wide choice of colours and quality. The staff in Kingston are always very helpful and willing to give advice. I order a lot of fabrics from Fabric Land for theatre productions and they always arrive promptly and are always exactly what I expect. Recently I ordered the Habutae silk which worked really well draped as swags for my own birthday party. the staff are always helpful as well if you have a query, or if on the rare occasion there is a fault in an order. I have used the cream and red crushed velvet to make bed spreads, pillow cases and curtain. Beautiful material for the price and washes without shrinkage, will definitely buy more soon. Fabric of very good quality, excellent value for money. Very helpful over the phone when I had queries. Fabric arrived super fast. Couldn’t be more pleased. Fabric arrived within a few days and pleased with it. Very satisfactory - definitely recommend this site. Super helpful over the phone. Order processed quickly and delivered on time. Fabric excellent value for money and exactly what was wanted. We live in North west Germany but no visit to England is complete without a visit to Fabric Land in Brighton. Always so helpful,the quality is excellent and the suitcase is always much fuller on our way home than it is when we leave home. Speedy delivery as requested and good value for money. Excellent service. I ordered some gingerbread felt and it arrived within 24 hours, wow what service thank you, the quality is excellent and I will definitely be using Fabric Land again. My order was delivered very quick and product was as described very good value for money. 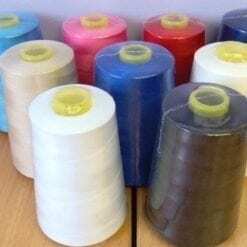 Fabric Land have been very good I struggled to find white ribbon in my local shops so went on line, Vikki let me know they had some and they were getting a new delivery soon with in a few days my ribbon arrived thanks to all at fabric land, excellent service. Sadly I am giving only 3 stars for the 54" curtain lining. The service from Fabric land is 5 stars! The last two deliveries for the curtain lining have been on rolls rather than a bale, since this fabric has been on the roll the quality is no where as good as it was when it was on the bale. The cost has increased substantially but the quality has dropped. I hope this is only because you have changed supplier and if so I hope that you will return to the original supplier. My first order just arrived, Fast delivery. As for the quality of the fabric I giggled with joy. Description was good and honest. It's easy to shop here. Will definitely be back. Order received very quick,felt and organdie good quality. Very pleased with my purchase. Great quality and rapidly dispatched. Superb customer service , lovely fabric and great value. I ordered Floral Sunflower Meadow and Teapot fabrics yesterday, and they arrived this morning. They are gorgeous (although the teapots were a bit bigger than I expected!) The sunflower fabric will make a costume for Suzy Sunflower, a character in the musical "The Bakewell Bake Off" which I am costuming, and I will send a photo when it's done. Also, thank you, Fabricland, for the 15% discount birthday present! Fantastic company! Really helpful and great service! Have always had excellent, swift service from Fabric Land. Great selection of any kind of fabric, haberdashery and patterns. All of fabric is very good quality and almost always cheaper than many other internet sites. Have not been sewing much during last few years as have been too busy, but am now 'back in the swing', so shall definitely be ordering from them. Thank you so much to all at Fabric Land for the many orders I've placed in the past year! I have been helping to make costumes for a local production of Priscilla Queen Of The Desert - and the quality of the fabric has been excellent! Swift delivery too! I have also recently made a Mermaid Puppet using fabric from here - and asked for help to match colours! Excellent service all round! Absolutely fantastic service. I have ordered many times and the fabric is top-quality and always brilliantly priced. One of the cheapest fabric suppliers I have found. I highly recommend to everyone. Beautiful material and excellent service. I've ordered twice within the last 2 weeks. I just want to say what great service. I ordered the fabric Monday evening and it was delivered today (Wednesday). Will be ordering again. I telephoned to get some info on some fabrics, I spoke to a lady called Shirley who was very helpful suggesting suitable fabrics for my summer trousers, and within five days I received three samples, the same day I ordered five items, great service, this is my second order from this company, and they will be many more. Second order received today within a few days of placing it. Very impressed with quality, price and efficiency. Would highly recommend. I bought the cotton crochet lace "Harry" to make my own wedding bunting. Great quality product and will definitely use Fabric Land again! Very pleased with the items ordered and the speed of service received. Lovely fabric and a super fast delivery. Really impressed with my first order. Beautiful Chinese brocade, and the colour (bright royal blue) is stunning - with dragons a bit bigger than I expected! Tends to fray, but that is the nature of this sort of fabric - handle carefully. I have bought from Fabricland before and will certainly do so again. I bought Chinese Brocade fabric to line a friend's coat. It is a beautiful blue colour with big gold dragons on it - awesome! It was delivered the day after I placed my order. I'm very pleased with the fabric, and the generous measurement of the amount I ordered. very impressed with quality of the 2 lots of fabric I purchased and the prompt delivery. Thank you Fabricland, I will be ordering again. really happy excellent service, Fantastic prices. Great quality fabric. Good delivery service. Fantastic prices. Great quality fabric. Good delivery service. I have been using Fabric Land on quite a few occasions and they are very reasonably priced, good service and very efficient. Arrived very promptly. Good value for money. It creases a bit. Excellent quality and good delivery time. Excellent service and excellent quality felt for very good price. Well recommended and I will certainly be buying again. I visited the Southampton shop on Saturday. From the island as postage is very expensive 😔 ..the fabric was a good price. But the person that served us was very unhappy never gave us an smile it seems to be very annoyed. So i though i will been happier paying for the postage. Beautiful fabric, even more vibrant than the pictures show. I bought a roll pf this beautiful Duchess Satin in Ivory. Easy to work with and lovely to sew. Top quality!! Lovely fabric and the colours are as shown on website. I wasn't quite sure what to expect, but am more than happy with my choice. Nice weight and It'll be perfect for a summer dress. Ordered on Monday for poly cotton and received on Wednesday great service and nice material. Bought the pink and blue oh la la cotton fabric wonderful fabric great quality. Could not fault the product and the excellent service will return. Very nice material to work with - colour as shown. My order was dealt with very efficiently. Well done guys, I'll be back. Used this to make budget tablecloths for a family event. Feels like cotton with nice drape. Really fast delivery at an amazing price. This is great fabric, it's lightweight and a real bargain and the range of colours is fantastic. I've used it as a lining for the lurex holographic sequinned fabric. I've also found it to be great for making cosplay costumes for The Orville the red, royal, emerald green, purple and orange are spot on colour wise. The grey is a little pale but I've used a fabric pen to darken it and it's now spot on. Good stuff, arrived quickly. did the job. Recommended! I ordered the Silver Grey crushed velvet fabric to cover my daughters dining room chairs. The order arrived very quickly and the fabric was fabulous quality. Great value for money and fantastic service. I love this fabric, I bought it in several colours. 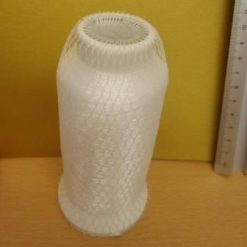 It's very lightweight so you will need to line it unless you don't mind it being see through. I used the polyester parc as a lining. Keep it away from the cats claws it plucks very easily. Easy to sew with. Beautiful fabric that is soft and smooth. Made mermaid tail for a doll. I bought this fabric in pink to make a circular skirt. The fabric is a nice quality and I can't wait to get started. Fabric Land delivered the fabric within 2 days. Arrived in less than 24 hours from ordering! Brilliant service and so pleased with kitchen cushion covers I have made with it. Thank you. Superb quality felt, and very reasonable price. I recommend for machine embroidery. The order was delivered very promptly. Thank you! Brilliant quality, very fast delivery, would recommend this felt to anyone who uses felt for projects. It's perfect for wrapping around our structural support for aerial hoop to make our studio a little less industrial looking. Very quicky delivered, very happy with the quality. Order was sent very quickly, but unfortunately it was the wrong trimming. The trimming I wanted was unfortunately out of stock by this point. I received a full refund and was not asked to send the incorrect trimming back. I think it's important that consumers know that when a mistake is made, this company will make it right. We're only human, and mistakes happen. I appreciate their customer service very much and the experience has not put me off ordering from them again. The person I dealt with was Maxine. If she deals with your order, you'll be dealt with professionally and fairly. Thanks! Have ordered black, dark & light grey - All great quality. Fantastic value for money and yet another prompt delivery. Thanking for my order of lace last week quick delivery and loved the quality and price thank you. quality of the sheeting I purchased is excellent. My order arrived within a couple of days, earlier than I expected. I have used Fabric Land over many years. I did live in the South of England and so could visit their shops where I was always spoilt for choice. I now live in the North of England where unfortunately there aren't any shops to visit so I order fabric on line. Fabric Land give an efficient and friendly service, with a speedy delivery. I used the antique gold to line a pure silk bolero jacket, it was perfect for the job and a beautiful colour. The service was extremely efficient and I will definitely be using Fabric land again. I wasn't sure I was going to like the fabric but was completely shocked by how great it was! I love it! Have used fabricland before and was always happy with the fabric. This time I bought the arctic stags fleece. It's single sided but the knitted backing is really loose and it frays and tears very easily around the edges. To use it you would need to iron on a stabiliser to stop this but as I make clothing this isn't possible. Unable to return it so not very happy. I made my order on Wednesday afternoon and I have received it on Friday morning! Amazing! Fabric also looks great, I can't wait to get making! Really pleased with the fab service I have received from Fabricland. I read on the website that they open at 7am so I called them at 7.30 yesterday as I needed the fabric asap. Received a text this morning to say it would be with me between 8.22-10.22 am and I got it before 9. Superb! Fantastic fabrics but disappointed by the postage costs, please please please rethink your postage costs ! I needed the fabric delivered asap they managed to get it to me as fast as they could! Customer service were efficient and friendly. Really appreciate their help! I've used fabricland for many years & have always got good quality products at the best prices. They have, & still do, provide a fast & friendly service. Long may they continue! I ordered 3 lots of fabric which arrived promptly. All 3 orders were of high quality and I'm looking forward to making them up soon. Good price fabrics but beware the postage costs. And they don't generally say if the fabric is light, medium, or heavy weight. Excellent service trustworthy supplier I have used fabric land on numerous occasions. Highly recommend. And they let you know if ther is a supply issue and offer immediate refunds or alternatives. I have recommended this company to my friends. I have been delighted with all the fabrics I have bought this year from Fabric land. The latest, jersey with robins on was lovely, and will make a great Christmas dress. Super quick delivery! Ordered on Friday afternoon and was delivered first thing Monday morning. Excellent service with delivery on time and helpful staff when I picked up my order - couldn't be better. Really good service always purchase fabric from them, first time on line, there was a mistake which was rectified very promptly. Thank you so much never had such fast delivery,the fabric is just what I wanted,will be ordering again very soon. The sequin ribbon was absolutely brilliant! Great quality, sturdy and super sparkly! Needed it quickly for kids party, and Fabric Land did not disappoint! Thank you so much! Love the T-shirt fabric but I miss the stripes I bought a couple of years ago. Have just finished T-shirt number one and it has turned out beautifully; now on to number two! My only gripe is that I think the post and packing charge is a bit high at £7.50 for two and a half meters which only cost £11.23 for the fabric but I suppose it is cheaper than driving from home into Bristol. I love fabric land in Brighton, there's such a huge beautiful range of products and very good prices too. I spend a lot of money there, however, i find the staff quite rude and unfriendly and they dont go out of their way to help. I recently discovered Fabric Land (online) and I wish I lived closer to one of their outlets! I have ordered fabric and the service has been excellent. Next day delivery, with a text in the morning giving an idea of delivery time. The colour of the fabric is true to what is on the website and the quality of the fabrics that I have ordered is good value for money. I would highly recommend them and can guarantee that I will be buying from them in the future. Ordered Tuesday afternoon, delivered Wednesday morning! Great service, thank you. Been shopping with Fabricland for many years and never dissappointed...great service. Still a caring family style business. Fab!! 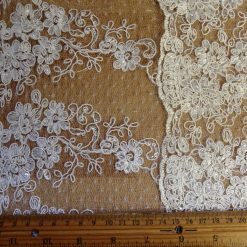 Bought a lot of fabrics from FL -last time habutae faux silk which is very soft and lovely in touch, crinkled taffeta and budget lace - all are fantastic at great price, speedy delivery so overall - GREAT service and lovely fabric. I love this shop - go in for a few things and come out with lots more! So much choice , lots of different things and staff always so helpful, friendly and happy!!! Placed an order online to collect. A few of the items were not in stock and someone called me to let me know. I wish the website had told me they were out of stock as then I could have ordered something else. Apart from that great service, great prices and great staff. I have returned to sewing after many years, and therefore a lot of new products are now on the market , I always go to fabricland, as I always find the staff very helpful and always cheerful, just excellent service . Great products but I don't think you need a photo ID to pic your order up and don't need to be you. I have kids and is hard to go with them to the store. So maybe you can put "pay at the collect" on the checkout woul be easier to send someone to pic it up for people that can't. Lovely fabrics and very good value for money. Excellent service with very prompt delivery. I've been a regular customer of Fabland (my name for you!) since I first spotted Natalie hefting bolts of fabric into a unit in a shopping arcade in Bournemouth back in the 80s. Fab and unique fabrics at incredible prices and lovely helpful people. My 'she shed' is up to the brim with projects waiting to happen. Fabricland has seen me through a divorce, a remarriage and several bereavements, thanks. I want take this opportunity, to make a MASSIVE, HUGE thanks to your Customer Care colleague Kirsty. All of my order enquiries were fully understood and handled with most sincere kindness and professionalism. Well Done! I have bought children's fabric from you for several years. Great choice, great quality, great service, great value. I LOVE the new website and the online ordering facility! Ordered my fabric and supplies yesterday morning and couldn't believe it when it arrived first thing today, the fabric is fab quality and I can't wait to get started on my daughter's Arabian dance costume. Would definitely be back to buy from you again. Excellent and great value for money thank you. Service, quality, delivery and packaging of items is 1st class. I would never hesitate in buying from Fabric Land, they don't let you down.